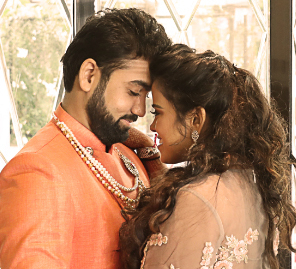 From the vibrant colors of their pre-wedding festivities to the elegant decor at their wedding ceremony, Yagna and Raghav's nuptials was no less than a glittering gala. From traditional rituals to beautiful decor, Yagna and Raghav's wedding functions had lots of unique touches. Here, bride Yagna shares fun memories of the various events which were captured by WeddingSutra Favorite Dipak Studio. Five years ago, Yagna was out with her cousins when Raghav’s car broke down right outside the restaurant they were at. Desperate for someone to help, Raghav called out to Yagna’s group asking for some assistance. Even while he did it, he couldn’t take his eyes off her. Yagna thought nothing of it. But Raghav could not stop thinking about her. He found her on Facebook and after eight months of constant conversations they developed a friendship that kept growing. 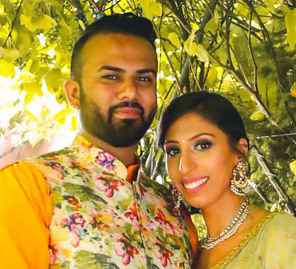 As they got closer Yagna moved to London to study and for four years, the couple had to make do with Skype conversations, FaceTime sessions, WhatsApp chats and international phone calls. They believe they emerged stronger from the long distance period and were always ‘meant to be’. “It was the most magical proposal ever”, says the ecstatic bride. In November 2016, Raghav planned a holiday trip with Yagna and all his cousins to Mombasa, Kenya. It took Raghav months to plan this proposal and his cousins were a part of the plan too! They helped set up a Disney-like arena at the beach, leaving nothing to chance. On the day itself, Yagna was dressed up for a beach party hosted by a friend. Little did she know that when she stepped onto the sandy shores, she would find a walkway full of candles and roses, and a love-struck Raghav standing under a canopy of flowers. Just like before, Raghav didn’t have to say a word as Yagna said ‘Yes’, redeeming him of his nervousness! One of the most fun-filled functions, the mood was joyful, and the dance performance by the couple was the highlight of the evening. The couple was dressed to impress - Raghav looked like a prince in his classic tuxedo, while Yagna wore a beautiful evening gown by Shantanu and Nikhil. This was an evening full of fun, foot-tapping music, and dancing. The decor was elegant for this event too and included fresh floral arrangements with gold-themed stage decor that illuminated the venue. Raghav looked like an erstwhile Maharaja in a bandhgala, while Yagna wore a silver and lavender lehenga with beautiful jewellery.